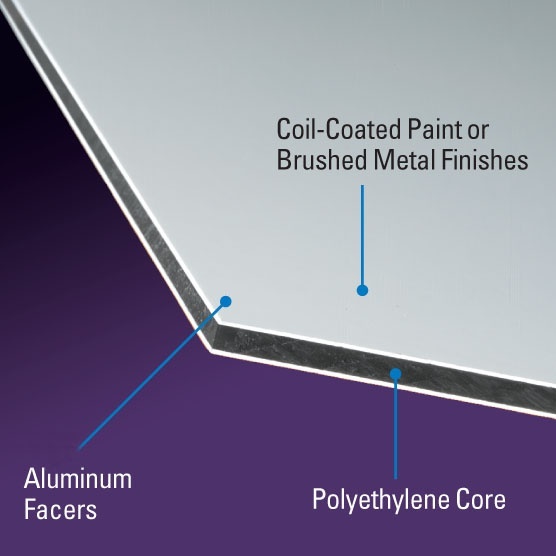 Dibond is an aluminum composite material (ACM) made of two pre-painted sheets of .012″ aluminum with a solid polyethylene core. We’ve been using Dibond in combination with plexiglass as an elegant, contemporary image mounting solution: The image is mounted behind plexiglass, then affixed to the Dibond material. The Dibond can be flush with the image or can extend beyond the edges of the image so that the texture of the metal provides an accent for the image (as shown in the photo to the right). 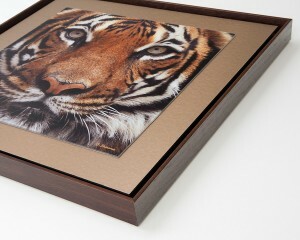 The artwork can then be hung by itself or in one of the many custom frames we offer. Stop by the store to see several examples of this exciting new product in finished form. Our pearlescent glossy inkjet paper features a unique silver metallic surface finish, similar to silver halide metallic photo papers. It offers exceptional image clarity, and brilliant color reproduction with a high gloss metallic finish. Perfect for quality commercial photo applications such as posters, graphic display and signage.